Dean Black had started a little quiz a few years back on this… I called it the KH game. It was a way to find all the letters of the alphabet with the KH code. Pat Murphy had stumbled on my blog and had written a comment on an Easter Sunday. With that comment the throttle on this blog opened wide. I am used to be startled on this blog and on my others blogs I am writing about WWII. How I started writing about WWII is quite interesting. 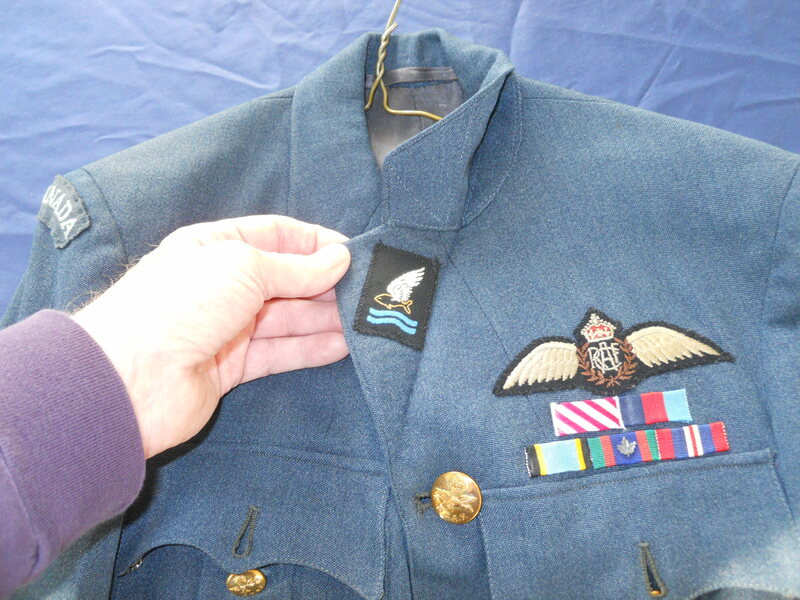 It started with the story of a Canadian destroyer sunk on April 29, 1944. I had never heard of it before even though I thought I was quite knowledgeable about WWII when I started getting interested in WWII in 1958 as a young boy coming from school. The blog Lest We Forget and its French version Souvenirs de guerre led me to meet Georges Stewart virtually and then later in person. While staying at a B&B in Hamilton I met a young man whose grandfather was a Spitfire pilot. 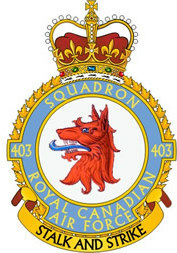 This is how this blog about RCAF 403 Squadron started in September 2011. 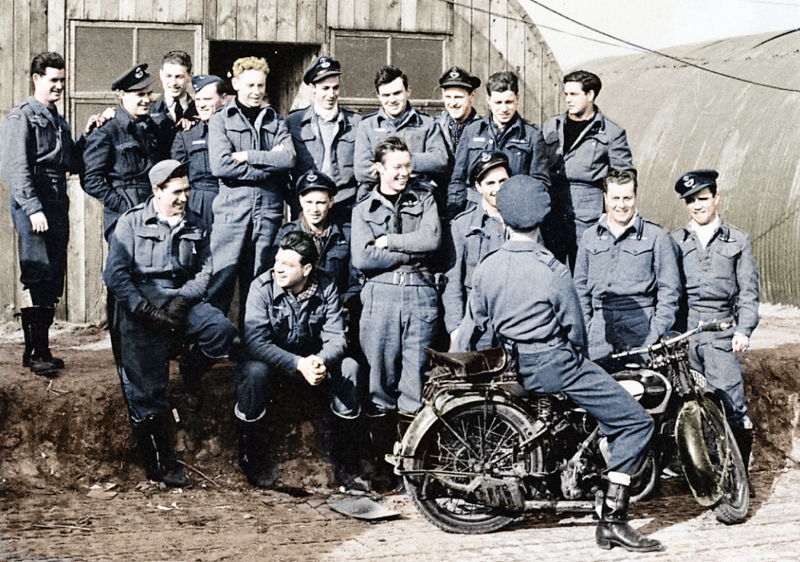 A few years later a new chapter opened up with Pat sharing what he knew about Spitfires and the pilots who flew them. And Pat knew a lot! And he sent me lots of stuff since that Easter Sunday. I did not know who Pat Murphy was before he wrote a comment. Pierre, I very much enjoy your 403 Squadron information, do you have an email address so that I can provide some information to you. I have searched your website for your contact info/ email and can’t seem to find it. 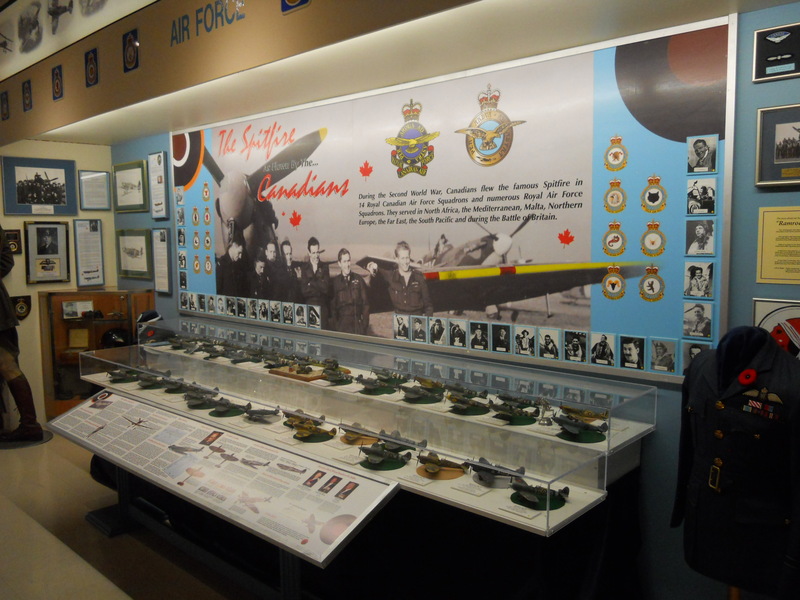 I have a Canadian Spitfire display in a museum here on Vancouver Island complete with some 403 Squadron Spitfires that you might find interesting. 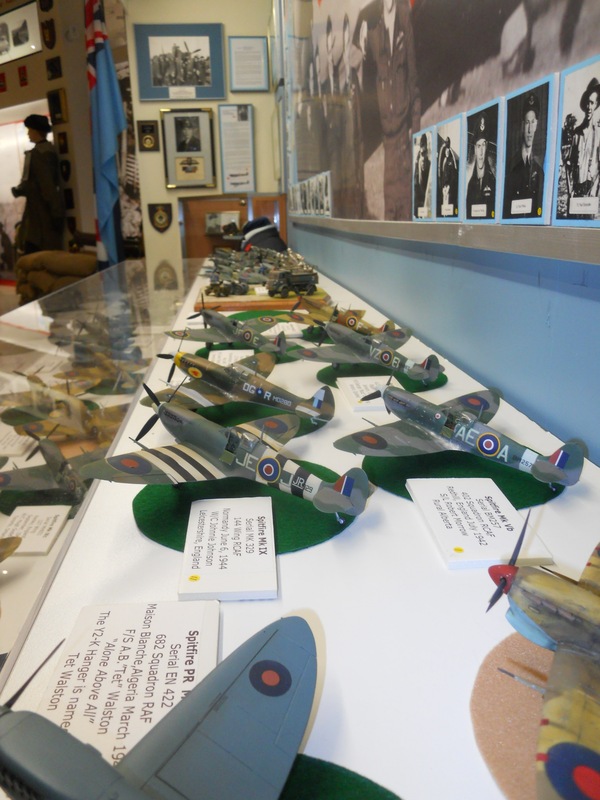 Recently I’ve included a Spitfire flown by Doug Lindsay of 403 Squadron to the display. I met Doug at his home in Red Deer Alberta a few ago when I was having him sign some limited edition aviation prints for the Y2-K Spitfire restoration project. 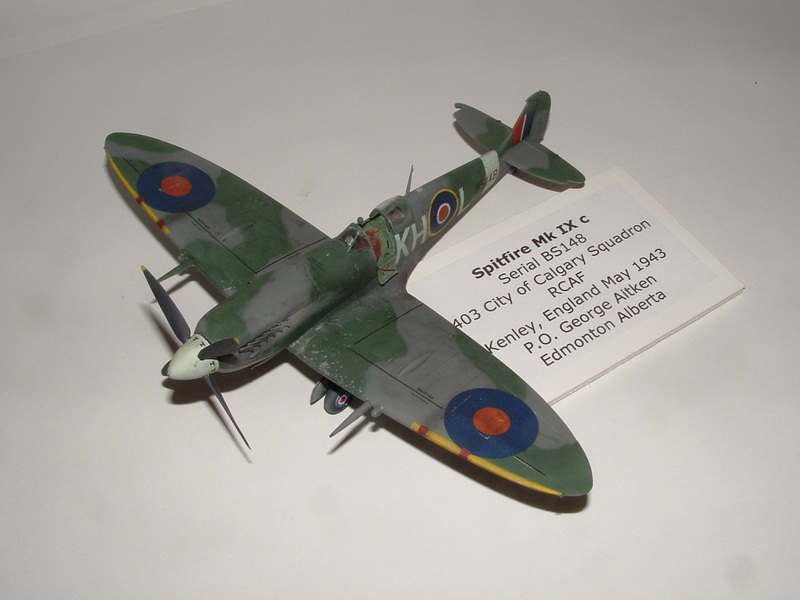 Doug provided me with the details for his model Spitfire when I called him a few weeks ago. 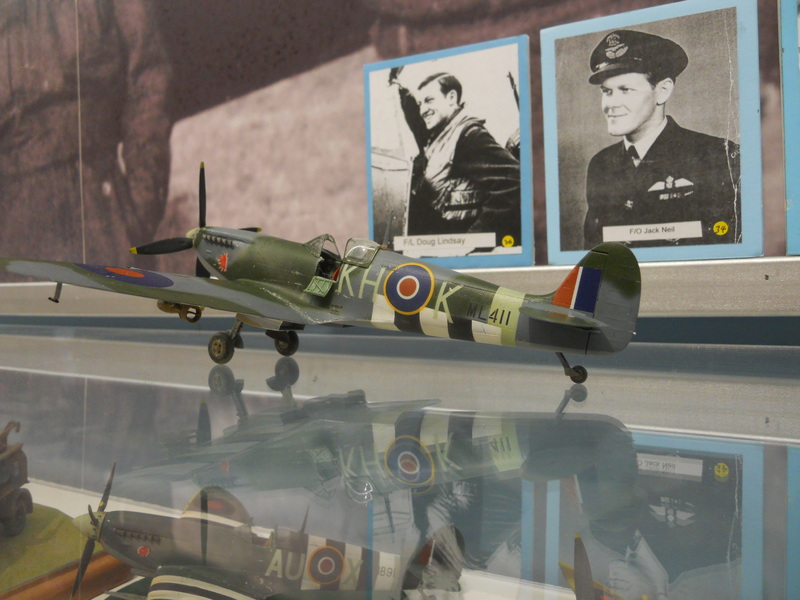 The display also features a model of George Aitkens Spitfire, George provided me with his details as well. Pat Murphy Vancouver Island Military Museum Nanaimo B.C. When you don’t know someone they in fact don’t exist. 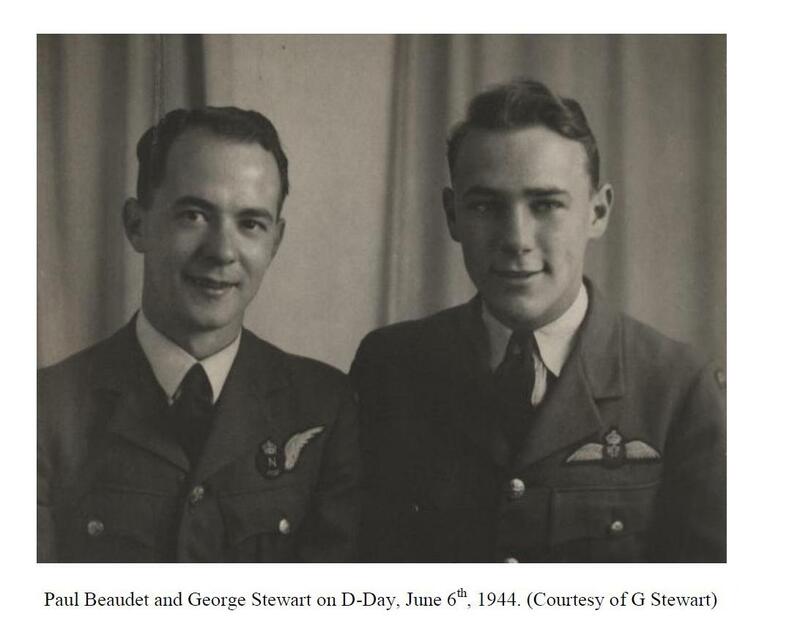 Just like George Stewart and his navigator Paul Beaudet who flew 50 operations together. Just like George Aitken and his Spitfire. Just like this museum in Nanaimo. 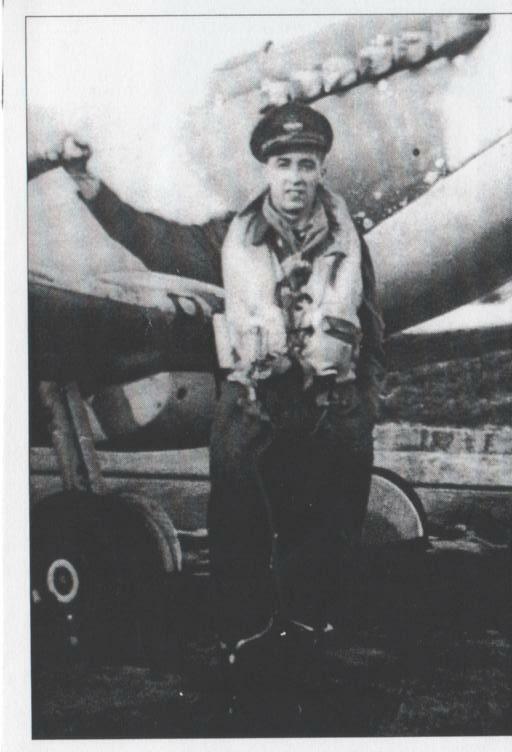 George Aitken is not a little known Spitfire pilot anymore. He is not only a post on this blog that I wrote in March 2012. And what about that model airplane of KH-L? I forgot to mention the details behind the reason George Aitken had roundels on his wheel covers. He was visiting an American bomber base at one time and he noticed that some of the bombers had a large star painted on the wheel covers of the bombers, George thought it looked good and when he returned to his own base he mentioned it to his ground crew. The next few days were very rainy and all operations had been cancelled. When opps went back on he noticed that his ground crew had painted the roundel on the wheel covers of his Spitfire, I believe it was the only RCAF Spitfire to wear such markings. When George saw the markings applied to his model he was most pleased. I had the honour of speaking with Mr. Aitken on the telephone in June 2005 with regards to Syd Ford and the 403. A true gentleman, he was most kind in answering my questions. I’m sure bringing up subjects like that fateful day on the 2nd of June 1942 brought back terrible memories. His job most often seemed to be that of tail end Charlie. That was the toughest job and the most thankless job because it was the tail end Charlies who were the eyes and protect for the squadron’s rear. It was men like Mr. Aitken, Mr. Wozniak and ( Willie Lane who saved Ford from being shot down on March 13th, 1943) that received little or no credit from the press for the invaluable efforts they made in protecting their leaders’ on each mission. These were the pilots who were coming back from long missions usually landing on just gas fumes in their tanks. Medals were not for the tail end Charlies because medals went to those who scored victories over enemy aircraft. Without the protection of the wingmen and tail end Charlie’s, however, the leaders of the squadron would not have lived long enough to score these victories. 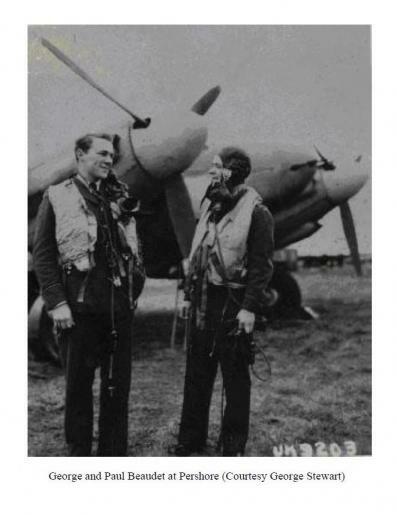 Wingmen like Mr. Aitken were the unsung heroes. On this Remembrance Day during that two minutes of silence, my thoughts will be of such fine men like Mr. George D. Aitken. Paying homage to another No.403 Squadron pilot. 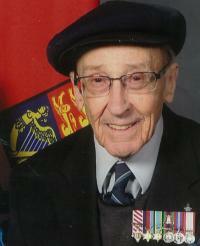 He was with 403 during the Dieppe Raid in 1942. I just got this obituary from Dean Black. 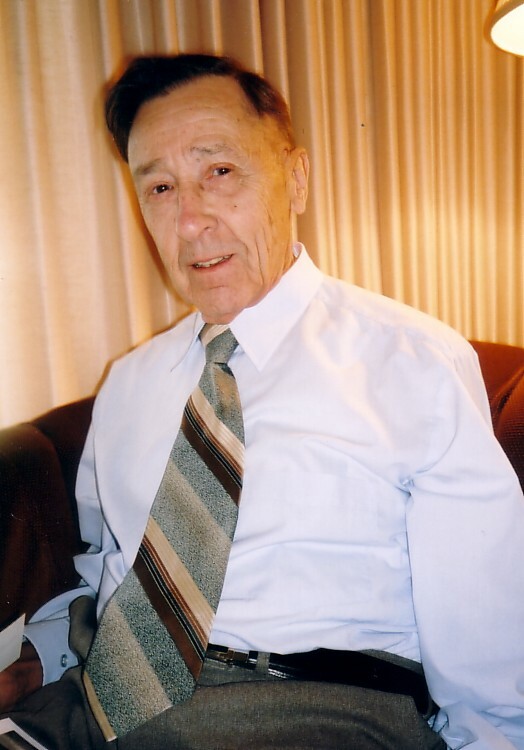 With heavy hearts, the family of George D. Aitken, AFC, announce his passing on January 11, 2012 at the age of 91. Survived by his best friend and loving wife of 62 years, Daphne; his three daughters: Deborah Sprenger (Wolfgang), Heather Rawsthorne (Mike) and Dorothy Lowrie; his sister-in-law, Marjorie Aitken and many nieces and nephews. George was predeceased by his parents, a brother and a number of life-long friends and family members. 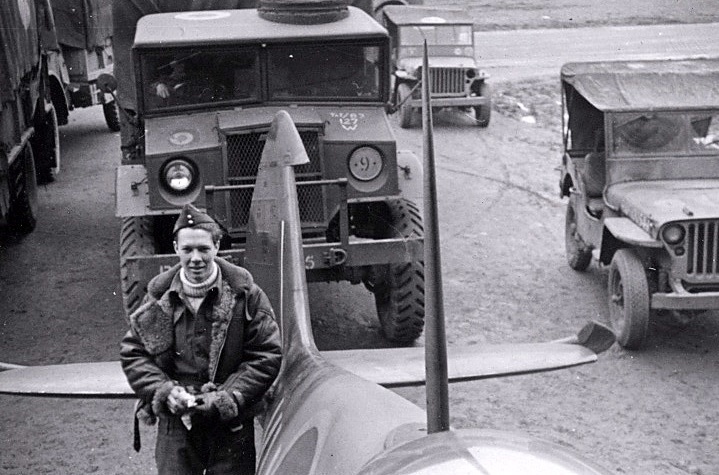 A Spitfire pilot during WWII and an Air Force Cross recipient, George spent his retirement years working as an historian, documenting facts pertaining to his experiences during the war. It was his belief that if we do not learn from history, we will be forced to relive it one day.